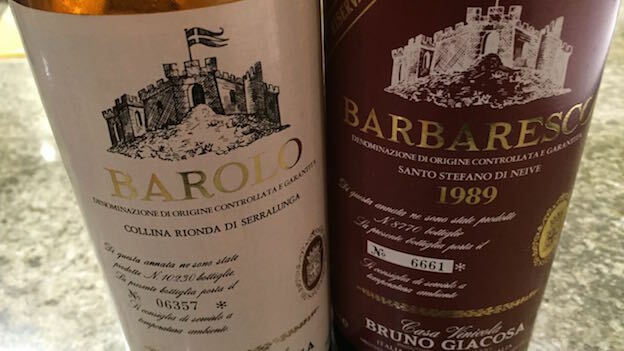 It’s always a pleasure to revisit some of Bruno Giacosa’s wines from the 1980s. Both of these wines came from the cellar of a dear friend and one of my earliest Piedmont Report subscribers. As always with wine, it is first and foremost people who make moments special. The 1980 Barolo Collina Rionda is like a very pretty, faded flower. Now fully mature, the 1980 is in a perfect spot for readers who like resolved wines. A super-classic Rionda bouquet laced with the essence of dried rose petal, mint, earthiness and tobacco is pure sensuality. The 1980 is an especially delicate, translucent Rionda, and yet its balance is impeccable. Well-stored bottles might hang on for a few more years, but I would not push my luck. 91/Drink now. Giacosa’s 1989 Barbaresco Riserva Santo Stefano takes things up a few notches, although it needs a good few hours of air to become fully expressive. The wine’s density, depth and aromatic presence are all the stuff of legend. This bottle is not the richest nor most powerful example I have tasted but, then again, time passes and this is not exactly the kind of wine one gets to taste every day. Still, readers lucky enough to own the 1989 can look forward to another decade-plus of exceptional drinking. The 1989 Santo Stefano red label remains one of Bruno Giacosa’s greatest wines. 96/Drink 2016-2026.